I am proud to announce the release of my newest iOS App today, Columbus Bikes. 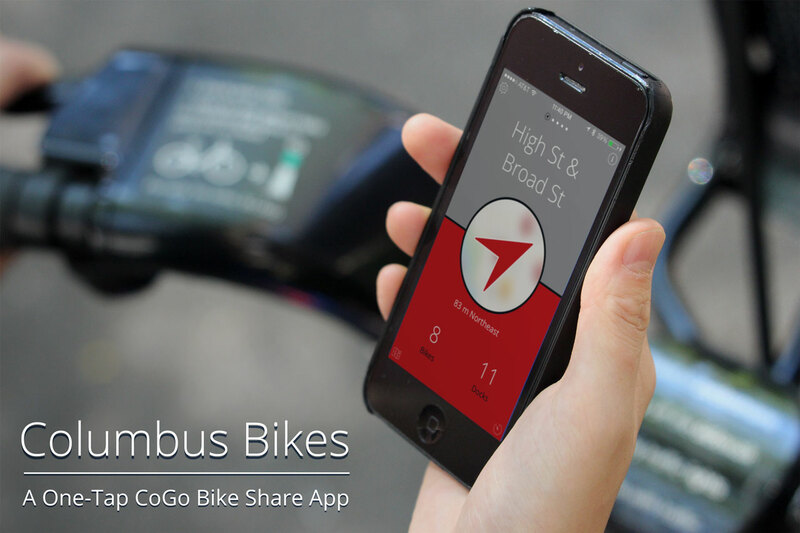 Columbus Bikes is a simple and easy-to-use App that helps you locate the closest CoGo Bike Share℠ docking station. With one tap you can find the closest CoGo Bike Share station, how far away it is and in which direction, and how many available bikes and docks it currently has. Columbus Bikes is a huge time saver and makes getting around Columbus a little bit easier. Available now, for FREE. Download Columbus Bikes today on the iTunes App Store.